“My approach to investment is to find really disruptive companies offering a real solution to a real need, which can be already implemented into the market. But above all, I truly rely on the ability of great teams to achieve their goals. Considering my career, I only invest in financial-related companies as they are the ones that I can contribute the most either as an investor or as an advisor. Currently i am ICO Activist Investor, with experience in private equity, assurance, and advisory; participated in 11 potential ICOs projects in Energy, Sports, Pharmaceuticals, Food safety,IT, E-commerce, Robotics services, finance and Consumer Goods sectors from the UK, US, New Zealand, Malaysia, Singapore, China, Russia, Estonia, Hong Kong, UAE, Canada and South Africa, advised top executives of private equity portfolio company on operations and efficiency enhancements. “I am a serial advisor to ico projects, providing turnkey solutions, connecting them with all necessary support such as ico consultants, crypto lawyers, marketing and community managers, crypto funds and investors, crypto exchanges etc. 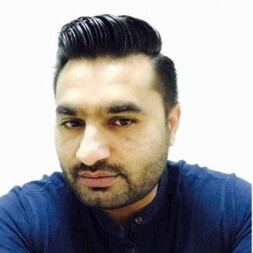 Zahid has many contacts with potential contributors to the Pacio Private Placement and DAICO, so we look forward to Zahid’s help with bringing in the funding necessary for Pacio to achieve its vision.